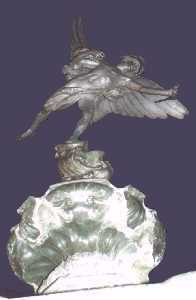 The most famous landmark in Piccadilly Circus is Alfred Gilbert's Statue of Eros. However, the name is misleading for it is neither a statue, nor the figure of Eros! It is actually a memorial fountain commemorating the Victorian philanthropist the Earl of Shaftesbury, and the figure is not the Greek god of love, but the Christian angel of Charity. Nevertheless the Statue of Eros has become one of the most famous landmarks in London and so most visitors want to have their photograph taken next to it - expect the area around it to be busy!